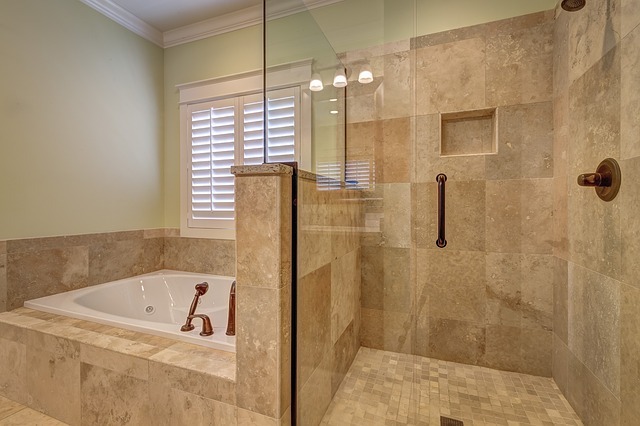 Bathroom tiles have gone beyond functionality, durability, and water resistance. They have become an opportunity for you to create a statement in your home. The selections are endless with tiles varying in texture, design, shape, and color. What was once a simple decision is now a bit overwhelming with ever-expanding choices being released from tile manufacturers. So, we have scoured the internet to find you our top five favorite trends in bathroom tiles for 2018. These styles play with an array of shapes, finishes, colors, and patterns and are adding that wow factor to homes all across the country. Rectangular tiles are for squares. If you want to stay on trend and make your bathroom the envy of the neighborhood then geometric tiles are the choice for you. Hexagonal tiles have re-emerged in all their glory, featuring bold new colors, sizes, and textures. Make an even bigger statement with a mix of colors to create a unique pattern. You can accentuate a vanity area or create a focal wall with bold designs. If you need to create the illusion of space, pairing geometric tiles with a neutral color palette can do just that. Glossy tiles have been pushed to the side for a softer finish. Matte tiles have taken the work out of your bathroom while adding a touch of earthy sophistication. Unlike their glossy counterparts, matte tiles are less likely to show water marks and smudges. Glossy tiles, however, do have their advantages. They create a feeling of elegance with their high polished shine. Both matte and glossy tiles have their aesthetic charm and functional benefits. Matte finishes offer understated elegance and can be used throughout your bathroom. Glossy tiles add a high-end feel but must be used on the walls because they tend to be a bit slippery. Both styles can be used to create different effects. To make your bathroom seem brighter and larger, glossy tiles are the best choice. For dramatic impact in your large space, pair matte finishes with plenty of natural and artificial light. Marble is not just for palace columns and mansion countertops anymore. This natural stone features unique shades and stunning veining that varies from one piece to the next. Create a luxurious space in your bathroom with marble tiling in large-scale patterns and subtle colors palettes. With modern technology being what it is, manufacturers are now able to create porcelain tiles that are identical to marble in almost every way. So even on a modest budget, you can create a bathroom fit for royalty. Create stunning visuals and works of art in your bathroom by incorporating textural finishes into your style. 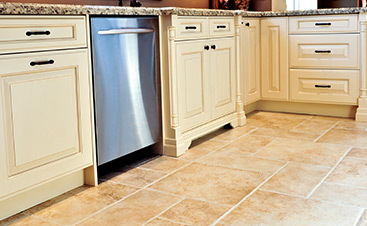 Raked and tumbled finishes enhance natural beauty and lend a rustic, inviting feeling to your space. The use of 3D styles in varying colors can create a feeling of whimsy or make you feel like you’re at the beach. Textured finishes are available in many different styles, colors, shapes, and sizes making this category the perfect way to create a masterpiece of your own. 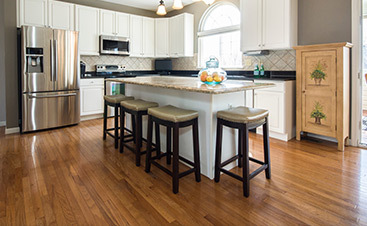 Realistic wood grain plank tiles are quickly making a place for themselves in kitchens, hallways, and bathrooms alike. The beauty of cherry, oak or even distressed wood has been given an upgrade. Planking allows you to customize the size of each tile which gives you the ability to create unique patterns. 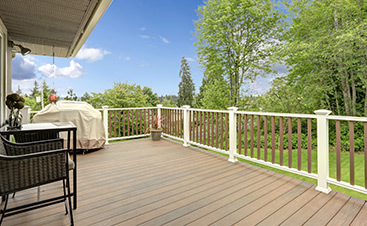 Porcelain wood grain tiling is a great option because it is easy to keep clean and you don’t have to sacrifice aesthetics to maintain water resistance. Pair this style with matte finish tiles or natural stone to add that extra something you’ve hoped to achieve with your bathroom remodel. Today’s tile options are endless. From textural and wood grain finishes to opulent marbles, choosing the right finish for your bathroom is a big challenge. But you’ve got this! Just keep in mind the look you hope to achieve and the feelings you want to create in your space. With a little help from us and some insider tips on the latest tile trends in 2018, you will be on your way to the bathroom of your dreams. Call us today to get started!